A volcano is a lava-filled boil on the surface of the Earth, just waiting to build up enough pressure to spew out ash and lava. A nuclear bomb is an explosive, man-made weapon designed for destruction and chaos. It disintegrates everything in its local vicinity and irradiates everything in its range after that. But what happens when you combine one of man's most destructive creations with one of nature's? Uh... nothing actually. This is a nit-picking technicality, but dropping a bomb (even a nuclear bomb) into a bubbling cauldron of magma would be very anticlimactic. The bomb would melt without starting a nuclear reaction. A nuclear bomb is made of explosives and a radioactive core (for example, plutonium). To ignite a devastating explosion, the explosives all need to detonate under careful timing to create enough energy to start a nuclear reaction in the core. Once the chain reaction starts, there's no stopping it. However, if a nuclear bomb was plonked into a chamber of magma, it would melt – shell, radioactive core and all. In order to start this essential reaction, and create a catastrophic explosion, the bomb would need to be detonated above the volcano mouth, or magically transported into the magma chamber's center. The less explosive of these two options is detonating the nuke above the mouth of the volcano. 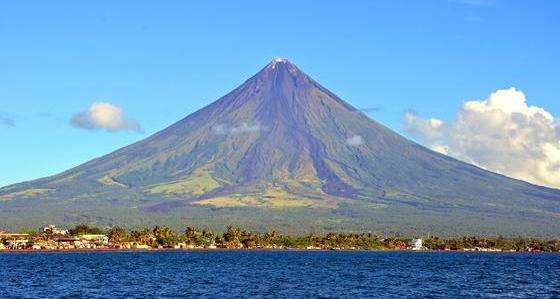 If the volcano is a stratovolcano (like a cone), then the nuclear bomb might do a little cosmetic surgery on the tip of the volcano, but probably wouldn't ignite an eruption. The blast radius of the bomb is too small to reach the pressurized chamber of magma that sets off an explosion. Fat Man – the bomb that was infamously launched into Nagasaki during WWII – has a fireball radius of 200 meters (660 feet). Compare this to a volcano of moderate height, Mount St. Helens, for example, which is 2,550 meters (8,370 feet) after its last eruption. Fat Man would only create a chip in the top of this volcano. The bomb would be hot enough to vaporize the magma and rock within the chamber after it's all been irradiated. The magma is in a semi-solid, semi-liquid state, but the initial flash from the bomb would boil this quickly. 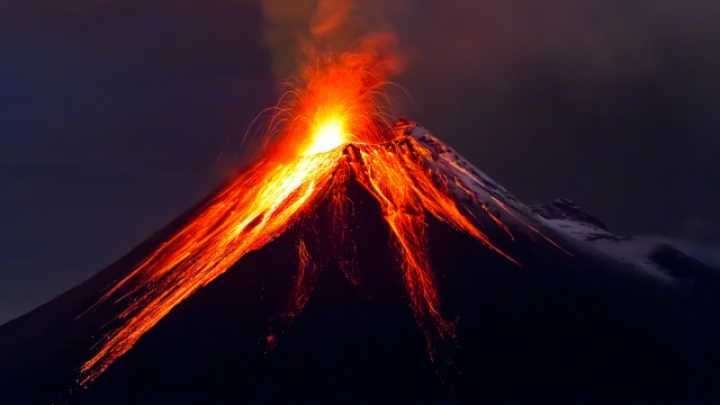 "It would heat it up so quickly that it would turn into a vapor, so what you'd get is an enormous vapor cavity," Dr. Robin Andrews, a volcanologist from the University of Otago, New Zealand, told IFLScience. "Like when you shake up a bottle of Coke but it's just one massive bubble instead of loads of little bubbles."